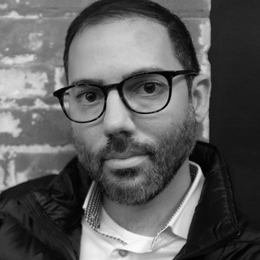 Michael Kahwaji, IDSA | Senior Design Manager, Whirlpool Corp.
Michael Kahwaji, IDSA, is a senior design manager at Whirlpool Corp., responsible for brand implementation and product development in the home cleaning category. During his tenure at Whirlpool, Kahwaji was a design lead for a variety of categories: cooking, refrigeration, new business creation, and KitchenAid brand development. Previously, he worked as an industrial designer at Zircon Corp. in San Jose, CA. developing DIY and commercial grade tools, and as a graphic designer at DesignCrew in Pasadena, CA. Kahwaji serves on the MFA Advisory Council at the College of Creative Studies and is an adjunct design instructor at The University of Notre Dame. During his free time, he collaborates with installation artists and has shown his work nationally and internationally. Kahwaji received his MFA in industrial design from The University of Notre Dame and a BS in industrial design from Western Michigan University.